Exercise is essential for dogs. Dogs that don’t get the required level of physical activity are at high risk of developing various health problems of which obesity tops the list. Each dog has its dietary requirements, for instance, our large breed dogs require a special diet, and thus they need sufficient exercise to expend energy. Physical exertion is also essential for healthy joints, mental well-being, and good behaviors. Lack of activity can also increase anxiety in our canines leading to destructive behaviors. Due to these and plenty other benefits, pet-parents can’t give up on a day of exercise for their pooch, and ultimately it enables them to stay active. Research shows that dog-parents are more likely to achieve the desired level of physical activity. You can take your pooch for a walk, plan other activities that involve both of you, to stay fit, active and maintain a healthy weight. The good news for pet-parents is that a furry companion doesn’t only bring joy but can also improve the quality of life. Research shows that dog owners are at a lower risk of heart diseases. It is due to a variety of reasons such as higher fitness levels and lower stress. Other studies reveal that having a dog is also associated with reduced blood pressure. Petting your dogs or even looking at them causes the body to release the hormone oxytocin which helps in reducing blood pressure. Dogs also relieve anxiety and provide social support. These benefits are higher for those living alone as the companionship lowers loneliness levels. Dogs can significantly impact your psychological well-being. Studies reveal that our canine companions can ward off depression. Those who have dogs experience a calming effect as soon as they come home to their furry friends. Research reveals that playing or petting your dog aids in suppressing the levels of cortisol (the stress hormone) thereby reducing anxiety and depression. The best part about dogs is that they offer unconditional love. Your pooch won’t judge or critique you. No matter how upset you are, the hugs and licks from your pooch and the emotional support can help you feel better and motivate you to keep struggling. Those who don’t have dogs may confine themselves to their homes and spend most of their time procrastinating. But with a dog in your life, it becomes essential for you to follow a routine and have a structure in life. 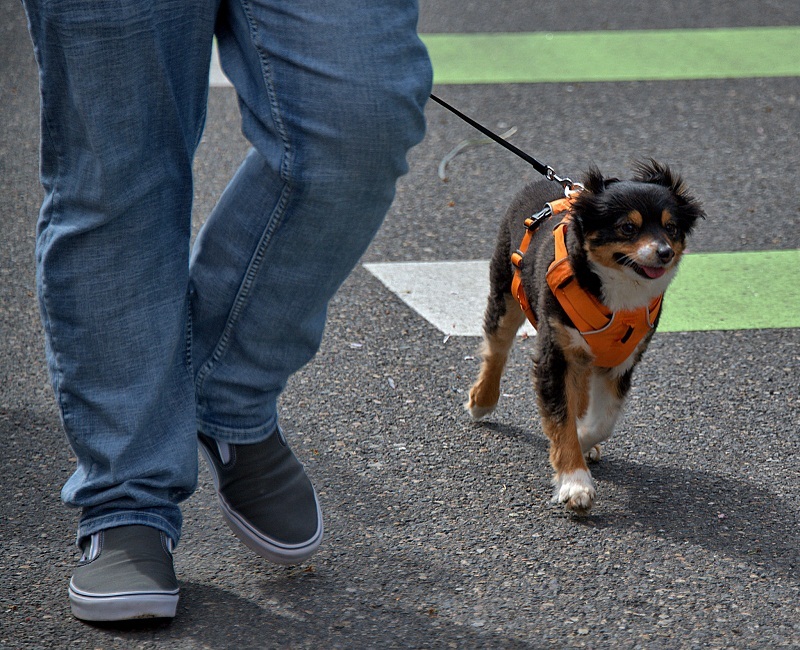 Your furry friend will make you step out of the house no matter how much you want to skip on the morning walk. With pet ownership comes responsibility and that promotes mental health. Dogs are adorable creatures; their cute antics can bring a smile to your face even in difficult times. Our pups can help distract us and manage to grab all our attention. No matter how bad of a mood you are in, you can’t continue to be upset after witnessing those cute puppy eyes awaiting a belly rub, perked up ears and wagging tails. Caring for a dog also boosts your self-esteem and provides meaning to your life, all these factors contribute to a better mood and a happier living, all thanks to our furry companions. People who stay active with their dogs tend to have better social lives. When you take your dog for a walk around the block, you may get to meet new people who initiate a conversation after petting your adorable furry companion. You can even take your dog to the park and meet other pet-parents while your pooch socializes with the neighborhood pups. These conversations and meetings may turn into long-term friendships. 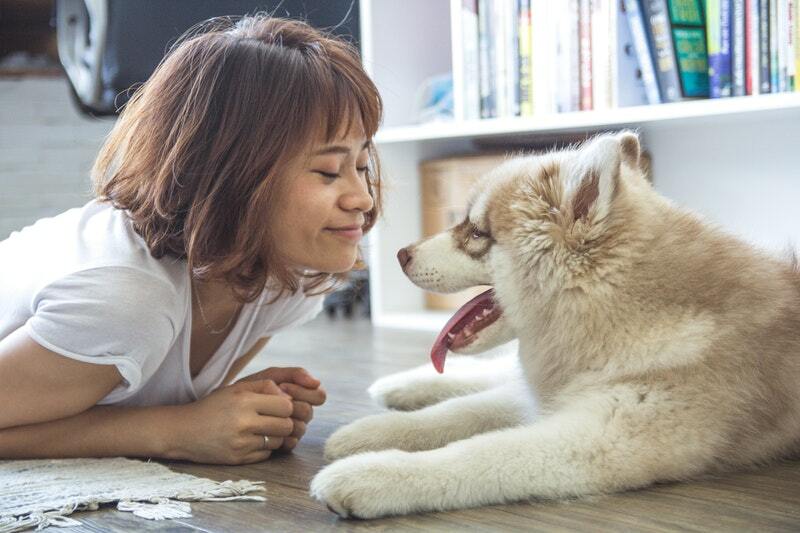 Research also shows that people who have a strong attachment to their pets may have a deep connection with their community and society. Dogs also help you develop empathy, compassion, and self-confidence. All of these skills can help you in your everyday dealings and enable you to make better relationships. Another fantastic health benefit for dog-parents is low cholesterol. According to CDC, a dog can help reduce levels of cholesterol and triglycerides. Research also suggests that pet-parents are at lesser risk of obesity and have better mobility even after aging.